We had such a fun New Year's eve. Annie and I both got to drink delish champawgne. I think the bubbly got to Annie, cause she got real silly, shook off her tiara and put on special glasses to welcome in the New Year. Wishes for everyone around the world for an amazingly fab New Year ! 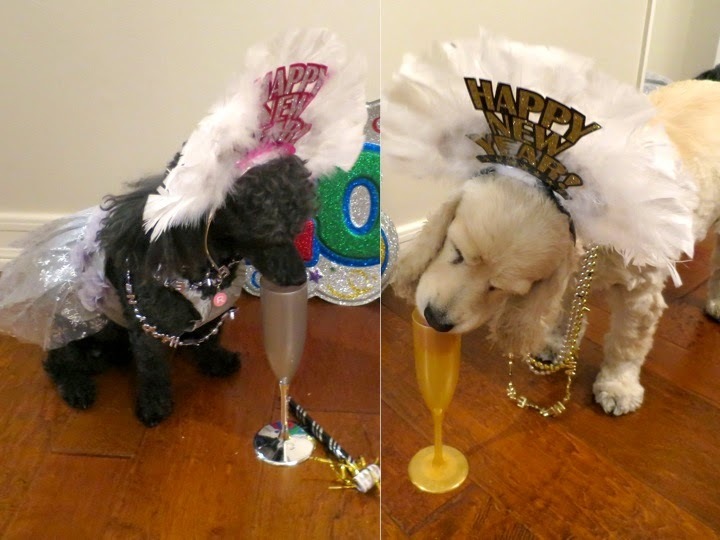 Happy New Year Rosy & Annie! Wow sure looks like you guys had a great time. My sisfur had to go to groomer yesterday. She wasn't happy going, but was very happy coming back! It put her in a cleaning mood, so she groomed my head! I'd have rather had champawgne with you guys!